(CNN) It is a global traveling troupe like no other in sport. A patchwork of nationalities, from India, Lebanon, America, on a summer pilgrimage to worship the most successful tennis player in history. These are Roger Federer fans. But his admirers have taken their devotion to a new level of intensity at this year’s Wimbledon, descending in heavyweight numbers in a quest to watch their heavenly hero perform in his Centre Court cathedral. Some are dressed in the red and white of the Swiss flag, others are sporting the “RF” monogram somewhere on their person — on earrings, t-shirts, bags, caps, tattooed on body parts. Certain fans are in a permanent state of flux. Stressed, panicked, their brains whir with worry. 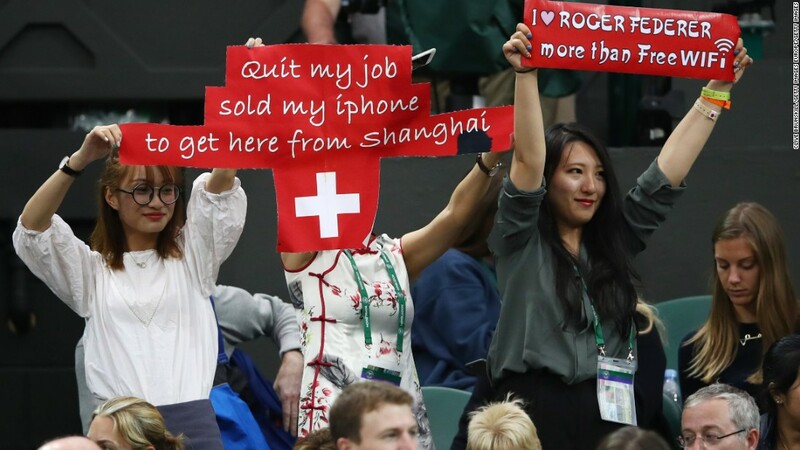 Followers of the 18-time grand slam champion have been making this annual journey to London for over a decade and the Swiss’ supporters are well-known for their unwavering commitment to their man. But this doesn’t feel like previous editions of the old tournament. Waiting in the snaking Wimbledon queue, a perplexed Novak Djokovic supporter asks why every Federer fan on the planet has descended to SW19. 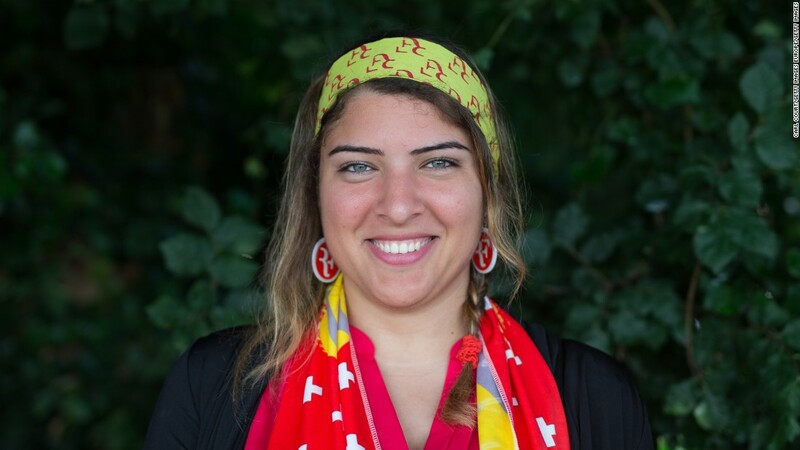 “But this is not all of us,” laughs 25-year-old Myriam Khalil of Lebanon. She is still recovering from the shock of arriving at Wimbledon Park — a recreational ground where the famed queue for on-the-day tickets starts — at 3am only to discover a few hundred people had already beaten her to the front of the line. “It’s been crazy. Ever since we arrived, we noticed a greater amount of Roger fans everywhere. 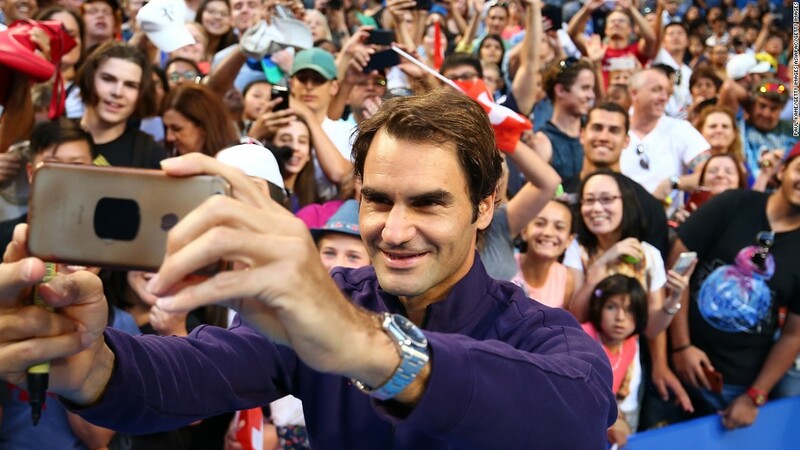 It’s no secret that Federer has always been popular. He has 7.5m followers on Twitter, nearly 15m on Facebook and last year won the ATP World Tour’s Fans’ favorite award for the 14th successive year, even though he had played just 28 matches. The 35-year-old has been the biggest draw at tournaments for over a decade, but Federer in 2017 has an added allure. 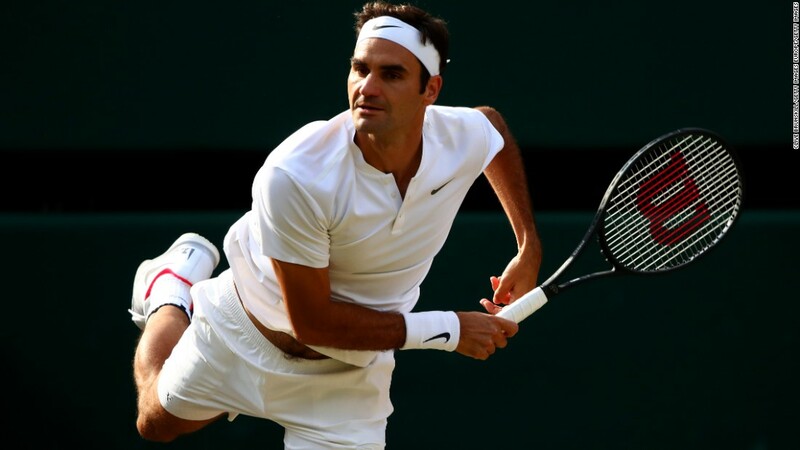 Cocooned from the normal ravages of age, he’s winning again — he has yet to drop a set at Wimbledon — and is favorite for the men’s title. 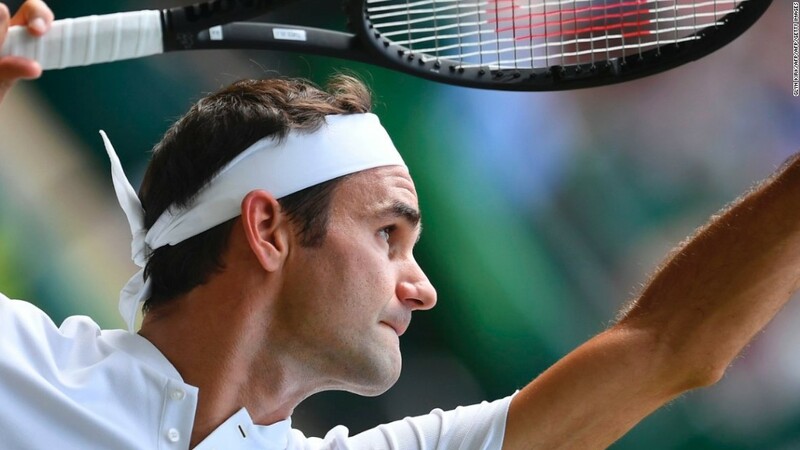 In beating Milos Raonic, a man 10 years his junior, in straight sets, the father-of-four is now two matches away from a record eighth Wimbledon crown — eclipsing the seven won by the Pete Sampras. With Federer turning 36 next month, the sand is falling to the bottom of the hourglass all too rapidly, though the “R” word (retirement, not Roger) is rarely whispered among his disciples. But, like it or not, Federer is in the autumn of his career. And the reality of the situation is writ large as his fans camp, sit, stand in line for days in the hope of watching him play. They want a chance to witness one of the final “I-was-there” moments. Like Khalil and Wilson, Sunita Sigtia is a member of the official Federer fan club — Fans 4 Roger. She has been making the 7,966km journey from Calcutta to Wimbledon to watch Federer’s feather-soft volleys and beautiful backhands for the last 10 years, but has never felt pressure such as this in her mission to watch him in the flesh. Not even an “RF” tattoo, subtly inked on the back of her neck, or the great man’s signature — permanently marked on the inside of her forearm — can help her gain access into The All England Club. The signature is a celebration of the player’s 18th grand slam title, secured at the Australian Open in January. The great man himself has seen the tattoos. He did not comment. Throughout this tournament, Sigtia has narrowly made the cut to watch Federer on Centre Court, but this does not stop the Indian businesswoman from worrying about what could lie ahead. Her mind is racing with queuing strategies for the matches which may come. “It’s basically for Roger this year. That’s why it’s tougher,” she says, giving her own take on why the masses are queuing. “I could see him play every day 24/7. Just watching him play is amazing. “We used to be able to come the day before, maybe noon, and we’d be okay for Centre Court, but now we’re not so certain. Only a Beatles reunion on Wimbledon Common (which, admittedly, would require two resurrections) could match the fervor for Federer at this year’s event. Is this devotion rational? For many, this is the sporting equivalent of watching Vincent Van Gogh paint in broad strokes or listening to Mozart perform his concertos. “The way he plays tennis nobody ever played tennis like that,” Patrick Mouratoglou, Serena Williams’ coach, tells CNN. “It’s so natural. It’s like a symphony. Nobody will ever play tennis like that ever, impossible. For those spending a fortnight at Wimbledon this summer, sleeping under canvas whatever the weather, using their annual leave, draining their bank accounts, the opportunity to watch a once-in-a-lifetime talent is no sacrifice at all. 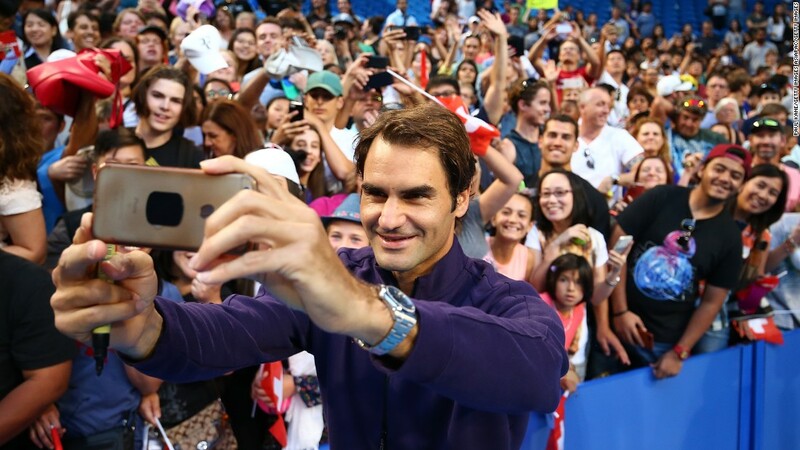 His serene progress through the tournament — combined with victory at January’s Australian Open after a six-month break to end his five-year grand slam drought — has given his fans added impetus. Not that Federer’s supporters have ever lacked motivation. He described the Federer forehand as a “great liquid lip,” and wrote of the player’s otherwordly anticipation. 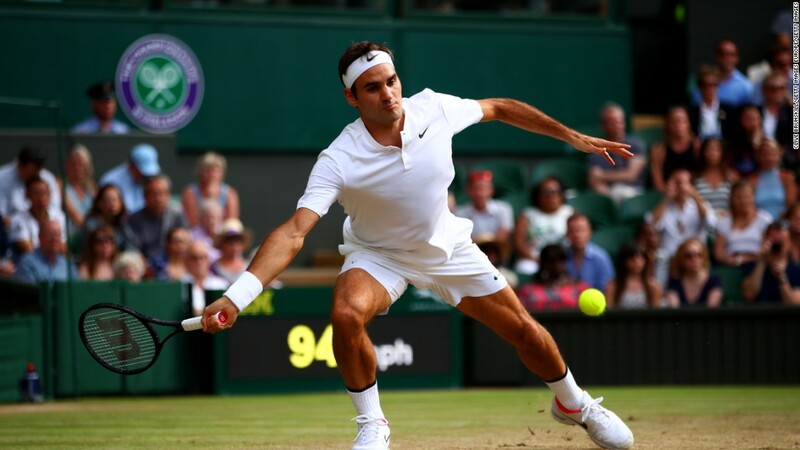 The genius of his game, Wallace explained, was lost on television, though the sight of a Federer forehand gloriously curling onto the line against Raonic Wednesday would have caused jaws to drop however the moment was consumed. Ask Federer fans why they adore him and they will pause, then smile, as if remembering a first kiss, which sums up the man himself: memorable and never to be repeated. 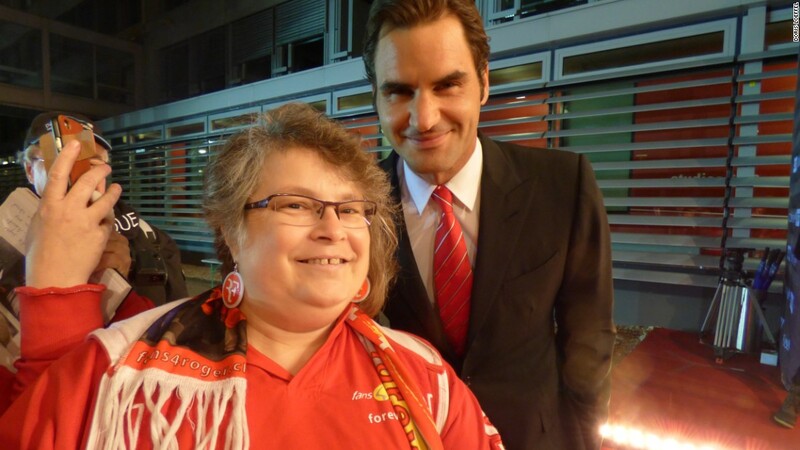 For Doris Loeffel, one of the original members of the official Federer fan club, founded by a Swiss radio station following his third Wimbledon title in 2005, her love is a result of a combination of factors: his hypnotic style of play, his unmatched success, the alchemy of his personality. His ability to communicate in English, German, Swiss German and French contributes to his global appeal, too. “He does recognize me and he chats and asks stuff,” says Loeffel, who admits following the player has become a hobby. “That’s what makes us fall in love with him. You’re not just a number. You get recognized. “When he talks to the fans he’s so natural and he recognizes the most crazy ones, the ones who follow him around the world. That gives you a feeling of being a family. “He’s a big part of my life. I work for the fan club, organize meetings. It’s Roger Federer every day in one form or another. It’s a lot of fun. Fans speak of a debt of gratitude to the player. They feel grateful for the pleasure they experience watching him play and for the friendships which have been formed among people of various ages, religions and races through their shared admiration for the man. Wilson, who says she has a “very understanding” husband, contributes to the player’s foundation every time he wins a tournament, giving back “what he gives to me.” The grandmother’s eyes then fill with tears as she listens to her fellow fans talk passionately about her hero. “I can’t think of anyone else in the sporting world right now who has brought so many fans together and brought out so much emotion,” says Londoner Shaleem Grant. The 23-year-old then gives out a belly laugh as she remembers dashing around central London on a rainy Sunday morning in January after a friend’s wifi had broken, desperately looking for a tavern which was televising this year’s Australian Open final. “My leg was in plaster as I’d injured my ankle, so I was hobbling around, but eventually we found a pub at 8am,” she says, laughing some more.